It is here !!!!! The long awaited Cadillac of Wheels. We have pink, red and robins egg blue available. The complete models. All come with a bulky flyer and Lazy Kate. 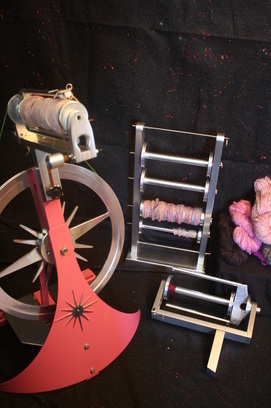 The ultimat in spinning wheels.